Spring is here! That means it's time to ditch those Winter layers, and Winter weight. No matter what your current fitness level, Spring is a great time to refocus your habits and spruce up your routines. Before starting any new fitness regimen, it's a good idea to check with your doctor. 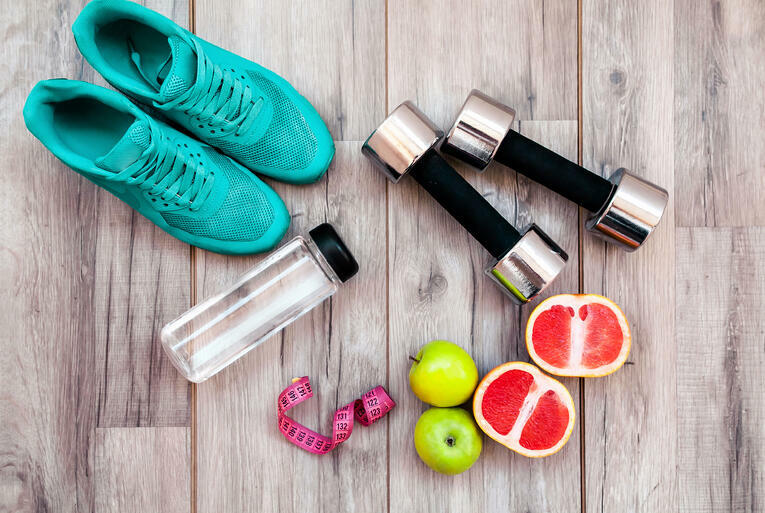 Your medical professional will be able to assess any potential risks associated with starting a new fitness routine and may advise you on the types of activities you should try or avoid. For example, if you suffer from low back pain, your doctor can suggest the types of activities that will strengthen your muscles without extra risk of injury, and they may even suggest avoiding certain types of workouts. If you enjoy walking, jogging, or biking, take to the great outdoors. Indoor workouts can be convenient (and climate controlled), but take advantage of the Spring weather and enjoy those activities out of doors for a change of pace. While you're at it, change your pace! Try increasing your speed or adding in some small hills and add the extra challenge your current fitness levels. Spring is a great time to walk, jog, or run in a charity race. Whether it's a cause close to your heart, or an event close to home, there are lots of 5K's and fun-runs from which to choose. Try searching on Facebook events for upcoming races. Sometimes the simple act of paying a registration can be all the motivation needed to get your running or walking back on track--figuratively and literally. All work and no play can make for a very boring fitness routine. Try joining a local recreational sports league. Check with your local parks and recreation office for adult leagues. It can be a great way to get fit while making new friends. Soccer, softball, volleyball and even dodgeball are common. If you can find coworkers to join you, consider starting an office team of your own. Bragging rights can be very effective motivational tools! Start a sports team isn't the only way to get the office involved. Consider starting an office fitness challenge. It could be something as simple as a "30-Day Water Challenge" or a "Biggest Loser" weight loss contest. The most important part of a fitness challenge at work is the opportunity to motivate one another, to challenge one another, and even to hold each other accountable. Spring is a new season! Make a fresh start by setting new fitness goals. Keep in mind that fitness isn't one-size-fits-all. Start by assessing your current fitness level, consult a medical professionals as needed, and set realistic goals for improvement. From there, the possibilities are endless.